Do you want to downsize but hate the idea of having to climb stairs every day? Or even worse, a ladder? There are plenty of reasons to opt for a tiny house with no stairs. For one thing, they're more accessible. They also have more usable floor space! As we all know, this is especially important when space is limited. Many tiny houses have lofts or second floors, but we've collected together some of the best designs that have neither. Take a look, and let us know which is your favorite! 1. 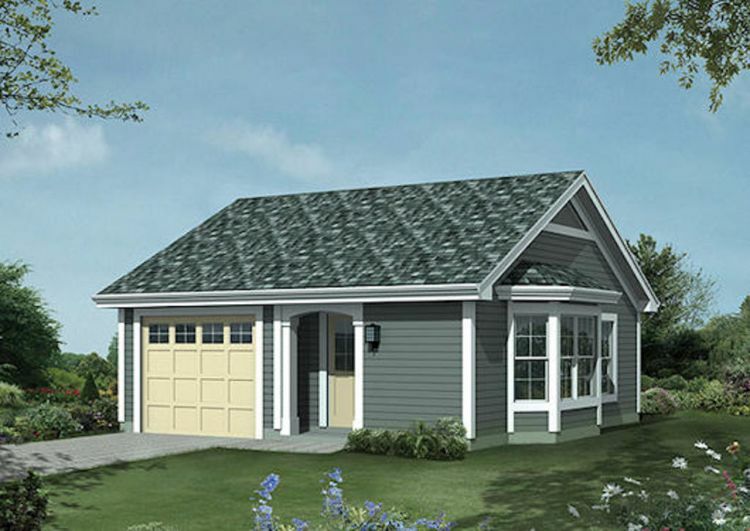 Charming two bedroom bungalow from ePlans. 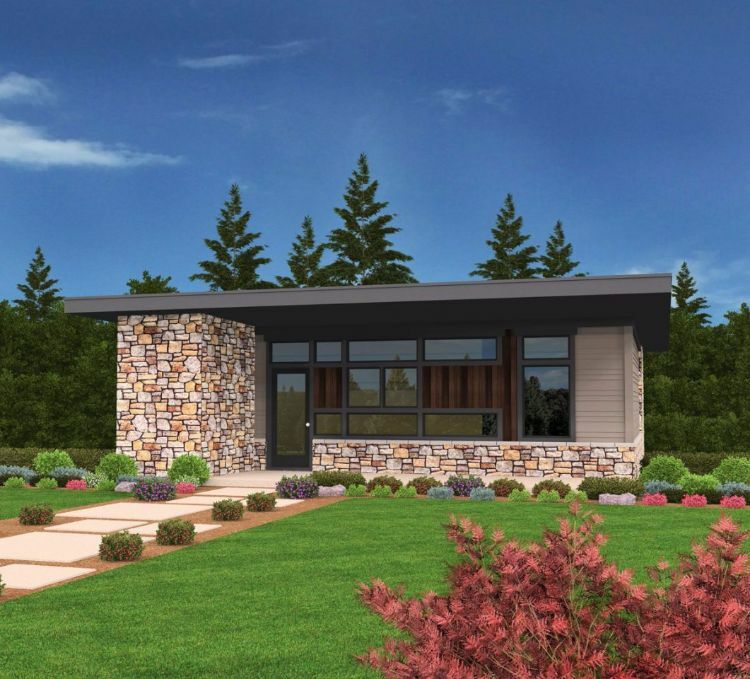 Coming in at 801 square feet (74 square meters), this design from ePlans includes a large wraparound front porch as well as a back patio. The door at the front of the home opens into the garage, while the house is accessed by a door on the right-hand side of the home. The cozy open plan living area features a fireplace in the living room, a bay window in the dining area, and an eating bar in the kitchen. 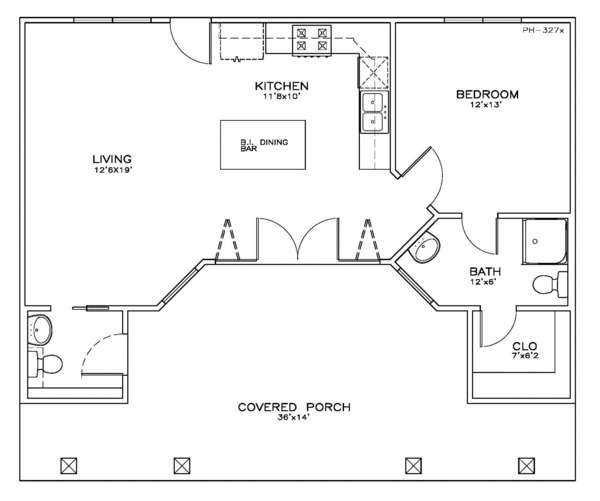 Two bedrooms are located at the front of the home; they both have a walk-in closet and share access to a bathroom with a tub. 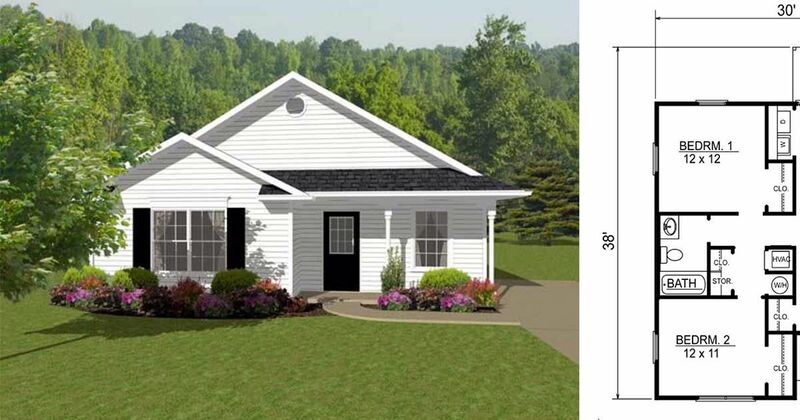 The home is further enhanced by a shop area with vaulted ceilings attached to the garage. 2. 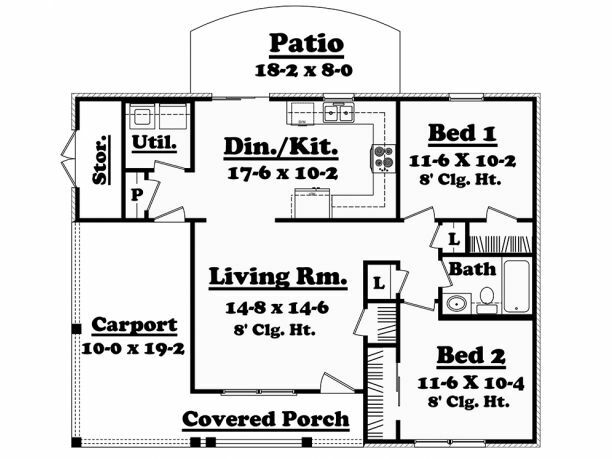 Traditional one bedroom home from Houseplans. This tiny home from Houseplans measures only 421 square feet (39 square meters), and its one bedroom and one-car garage make it perfect for a single person or a couple. The front door opens right into the open concept living room and eat-in kitchen. This room includes a closet as well as a large bay window that fills the space with light. The bedroom is found at the back of the home, and it provides access to a bathroom with a tub. 3. Modern home with plenty of storage from Architectural Designs. Despite being only 640 square feet (59 square meters), the layout of this plan from Architectural Designs makes the home feel much larger than it is. The large great room is the central hub of the home, and it has enough room for both a sofa and a dining room table if desired. The kitchen is situated at the front of the home, where it benefits from the large front windows. Both the master bedroom and the bathroom are located on the left-hand side of the house.A large deck is found at the back of the home, and can be accessed through sliding doors in both the bedroom and the great room. There are two storage spaces here as well. 4. 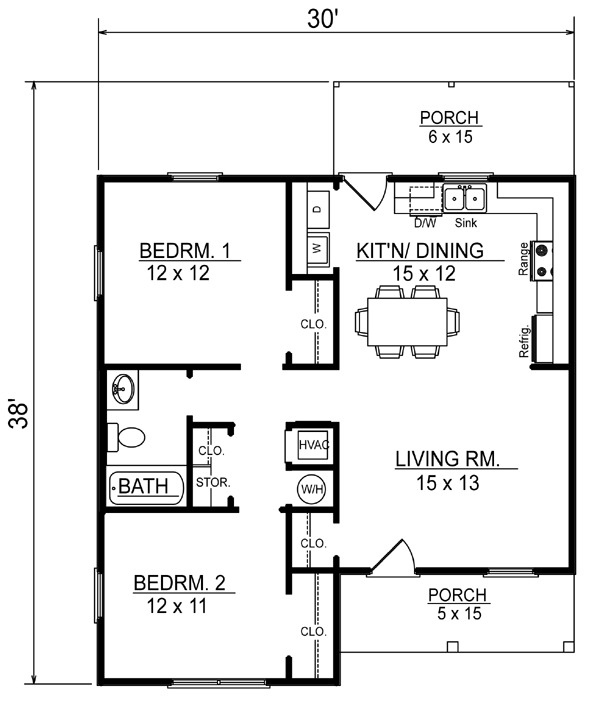 Open concept two bedroom design from Family Home Plans. 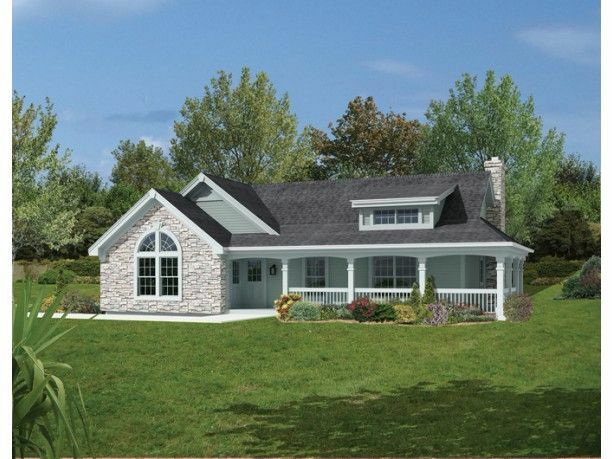 This efficient design from Family Home Plans comes in at 856 square feet (80 square meters). 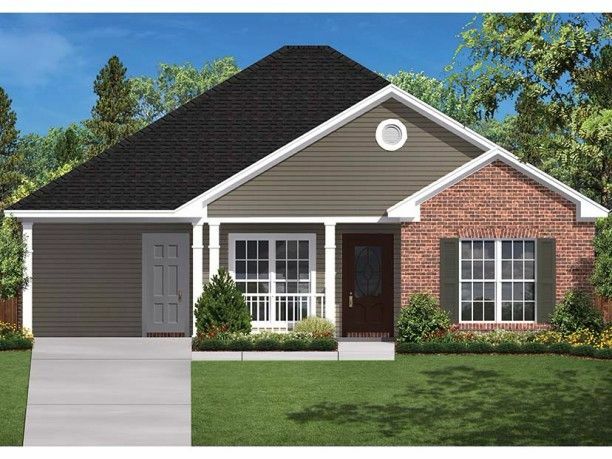 Sandwiched between a front porch and a back porch, the open concept living room and eat-in kitchen provides ample space for the family to gather. The private living areas are found on the left side of the home. Here, a small hallway connects two bedrooms and a bathroom with a tub. 5. 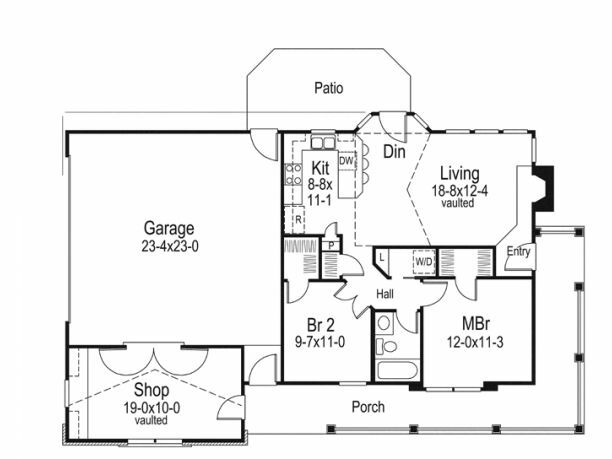 Well-lit bungalow from Floorplans. 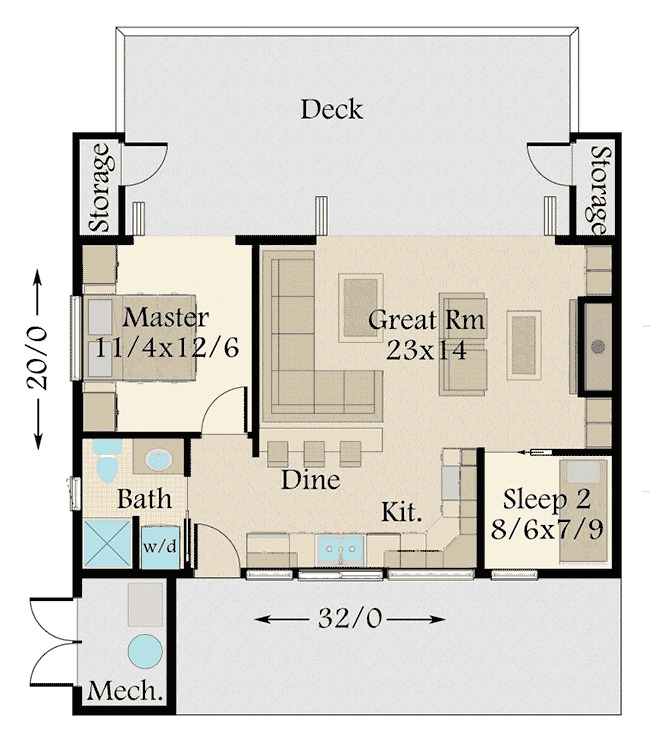 Measuring exactly 1000 square feet (93 square meters), this design from Floorplans has 9' ceilings throughout. A gas fireplace can be found in the living room, and a small dining area is located right behind the U-shaped kitchen. Off to the left, a small hallway leads to two bedrooms and one bathroom. 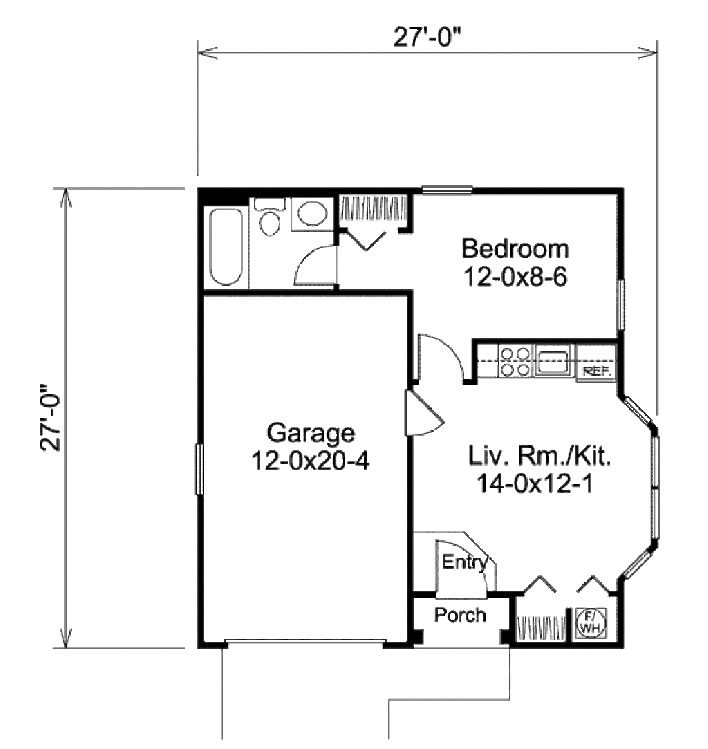 One bathroom features a jet tub, and can be accessed through the master bedroom as well as through the living room. 6. 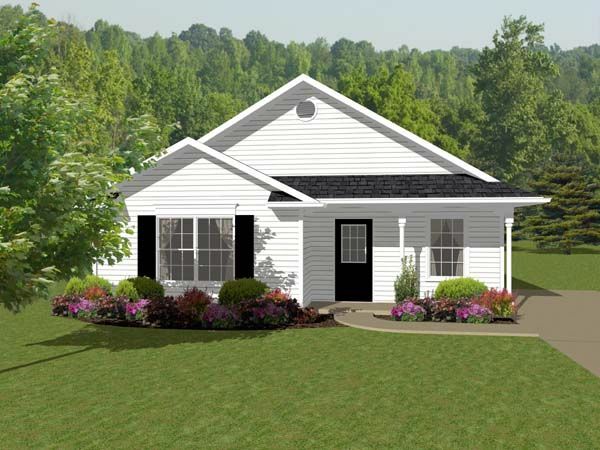 Two-bedroom ranch home from ePlans. 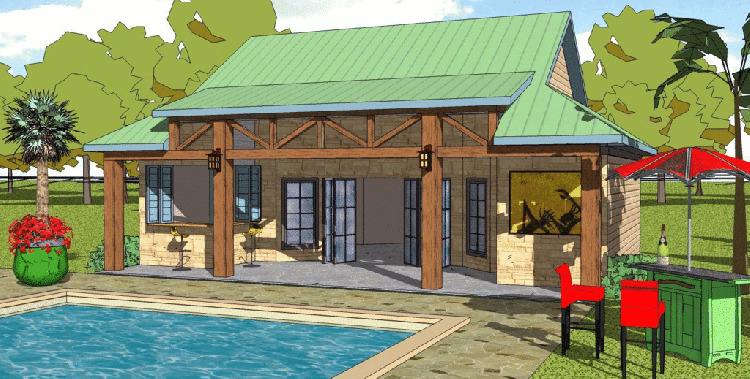 This efficient design from ePlans comes in at 900 square feet (84 square meters). Step through the front door and find yourself in the living room, which includes a convenient coat closet. Behind this room, you will find the U-shaped kitchen and the dining area. A pantry, utility closet, and storage space are located just to the left, although the storage space can only be accessed from outside. 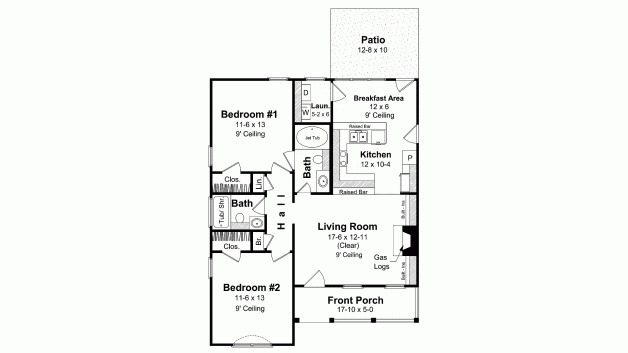 Two bedrooms and a bathroom are found on the right side of the home. 7. 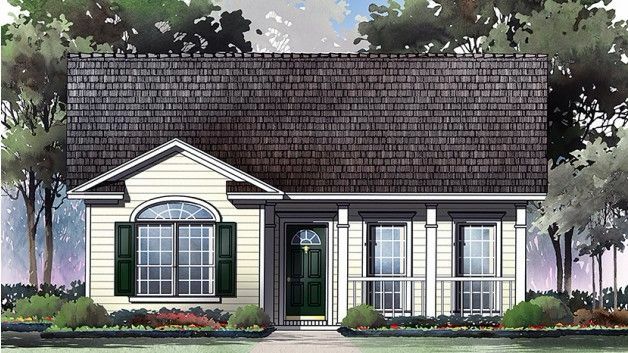 Charming Southern-style design from Houseplans. At 723 square feet (67 square meters), this home from Houseplans is entered through a pair of double doors that open straight into the main living area. The L-shaped kitchen in the center of the home includes a dining bar, and the spacious living room has plenty of room for other furniture. A half bathroom is conveniently located off the living room. The bedroom is found in the back right corner of the home. Here, a walk-through bathroom with a shower leads to a sizable walk-in closet!